Change sitecore content editor search tab icon and text. 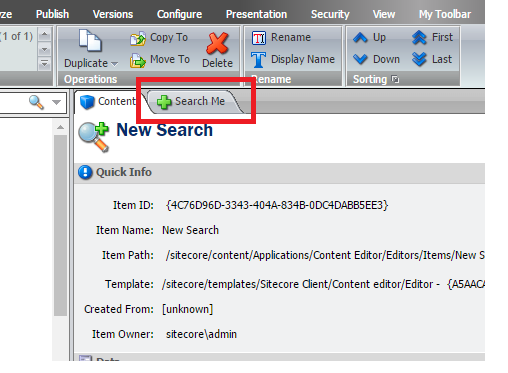 In the Content Editor, there is a Search tab next to the content tab of every item in sitecore. 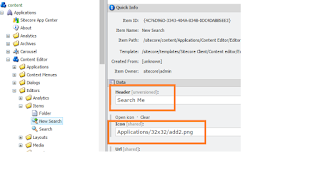 Search icon and text has been updated. 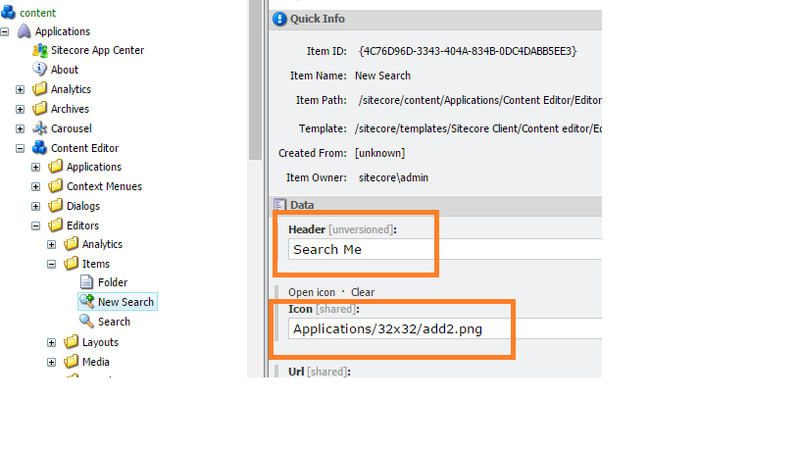 NOTE: But, In sitecore8 , it not working as previous version, as if you want to change the text-header then its not rendered properly,I already logged the ticket with sitecore and they replied me as this is working as a button, it is not supposed to change.